Lisa: He’s just peddling a bunch of easy answers. 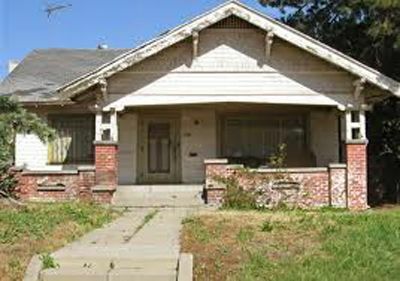 My initial reaction was, “BUY A FIXER UPPER AND PUT IN THE TIME!” followed by some muttering about “Easy, you think it’s easy, well I’ll tell you a thing or two….” and so forth. It didn’t take me long to realize it was actually talking about an HGTV show. I didn’t think of this show when I saw “10 Easy Ways” because I cancelled HGTV years ago. Why? Because I was spending time watching it that I could have been spending on actually fixing up our home and garden. That rigamarole eats up some serious time. The hosts have their own old house and work on older homes for the show, but the decor style is often implemented in newer homes. People should do what they want with their own houses, but I’ll admit to some bemusement over rustic farmhouse style inside brand new homes. Having a house with character means having a house with age, and with age comes other people’s mistakes and constant maintenance. If you want a new place, embrace its compelling virtues, like HVAC systems that work and paint that actually adheres to the walls. The benefits and features are legion! I sometimes dream of what it would be like. 1. Buy a Fixer-Upper. That gives you a leg up right there! 2. Play Hide and Seek. 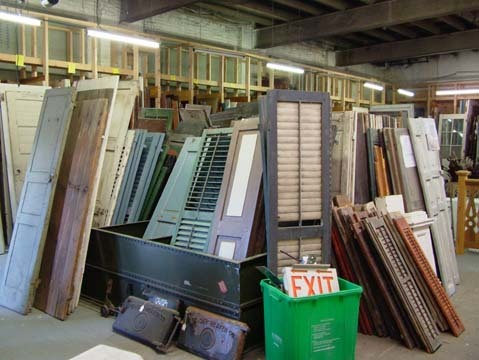 Search all the house’s nooks and crannies for doors, windows, hardware, and woodwork that was jettisoned by former owners (who, incidentally, wanted the house to look more modern because that was what people used to want). 3. Do Your Research. Find out what’s missing and what would have been in the house originally. 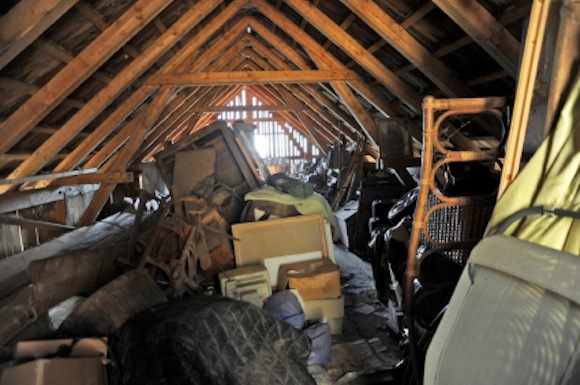 Determine whether those items are functional enough for your real-life purposes (you still gotta live there!). Set up recurring eBay searches. Hunt through Craigslist. Haunt salvage places. Find the basic things you are missing (over the course of years). 4. Get Your Hands Dirty. All that stuff has to be cleaned up! Plus all the ongoing maintenance and painting and caulking and repairs. 5. Love It. Love the place despite itself. A house with character can be lovable. It can also make you nuts. It’s like your great-uncle with the wonderful stories who smells a little weird and refuses to put in his teeth on the weekends. Yeah, you can’t buy that sort of character. Even if you wanted to. 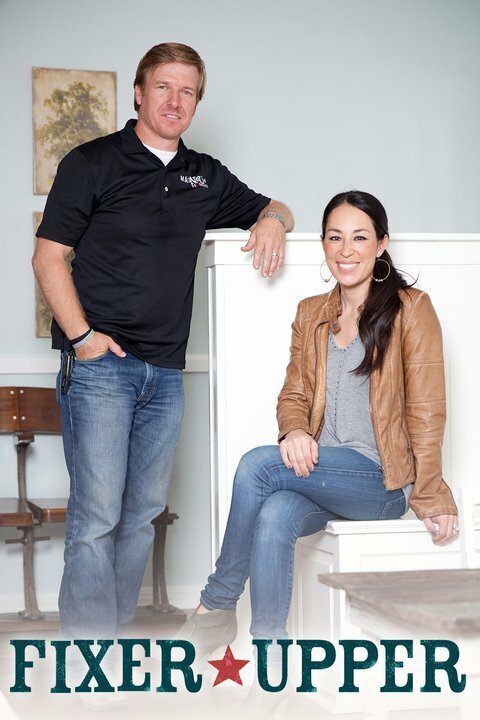 This entry was posted in Decor and tagged fixer upper decor, fixer upper style, fixer upper tv show, get the fixer upper look. Bookmark the permalink. 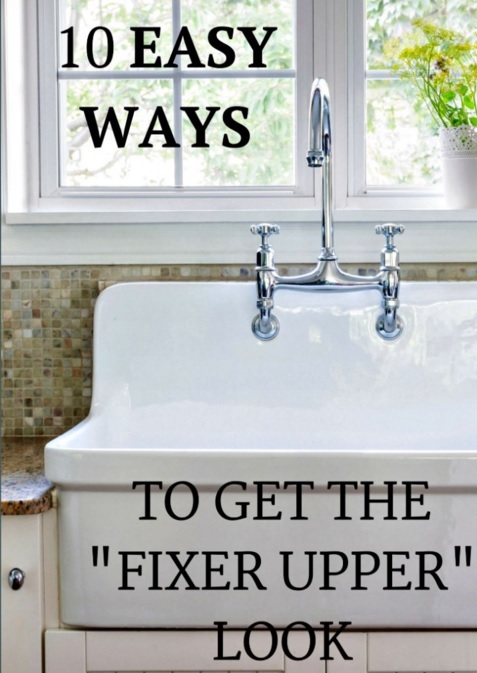 Love your first tip for getting the fixer upper look! 😉 Owning an old house can be hard work, but it can also be so rewarding. I can’t tell you how happy we were to find that we still had our original doors and that they’d just been boarded up to hide the panelling and details. That was one of my favorite projects of yours! This post is timely. I just finished watching the 1st season on Netflix since everyone loves this show, I thought maybe I would like it. I was not impressed. Every house they renovated turned out exactly the same. White, green, gray, and more white…oh and then distress EVERYTHING. Oh and then open up as many walls as you can and add an island, followed by paint everything including brick. Meh. Not for me.